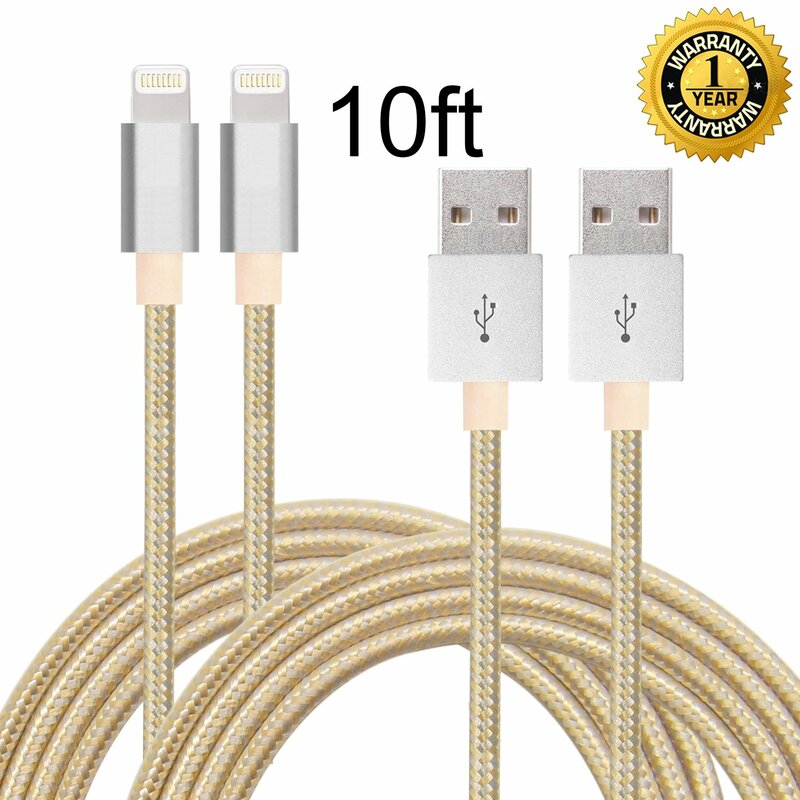 Home › Ifaxnn 2Pcs 10Ft Lightning Cable Popular Nylon Braided Charing Cable Extra Lo..
IFaxnn 2pcs 10FT Lightning Cable Popular Nylon Braided Charing Cable Extra Long USB Cord for iphone 6s, 6s plus, 6plus, 6,5s 5c 5,iPad Mini, Air,iPad5,iPod on iOS9.(white+gold). 2pcs 10foot white and gold nylon braided cords with 12 month risk free warranty. FeatureFast charging and synching lightning cable for ulitmate conveniece for Apple mobile device users One convenient 10 foot iPhone/iPod/iPad cable is ideal for usage while charging in home, cars, office and more Lightweight, highly durable construction for portability and reliability.Charge and Sync Cable, we devote ourselves to offering the best purchasing experience for our customers.